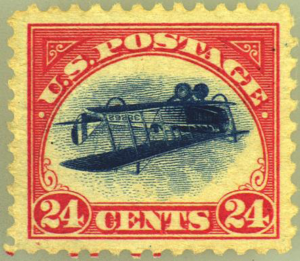 The stamp was recently submitted to The Philatelic Foundation in New York. The PF’s experience and expertise in authenticating this iconic United States rarity is unrivaled, having previously issued Certificates of Authenticity for 86 of the 100 stamps from the original sheet, including all six of the existing blocks of four. Matched against the PF’s detailed records, photos, and electronic images, the PF’s expert staff determined that the stamp is the long lost position 49 from the original sheet of 100 that was purchased by collector William T. Robey in a Washington, DC post office in May 1918. The sheet was sold by Robey to stamp dealer Eugene Klein for $15,000, a fortune in those days, and was later broken up for sale to collectors. Klein’s pencil notation, the position number “49” is still visible at the lower right back of the stamp. 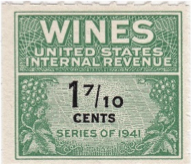 At NY 2016, the international stamp show held at the Javits Center in New York, an extremely fine example sold at auction for a record $1.3 million dollars. Many of the Jenny Inverts have small faults, having been repeatedly bought, sold and often mishandled during the last 100 years. 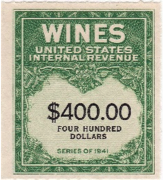 However, position 49 is in pristine mint condition. It was held by three generations of an anonymous Chicago area family in a safe deposit box where it remained untouched and, its whereabouts unknown, until now. Because the stamp was never mounted in an album, it is coveted by collectors as a mint, unhinged copy with its original gum. Only six unhinged Jenny Inverts, including this example, are recorded from the original sheet of 100. Based on its centering, bright colors, and its pristine gum, the PF awarded the stamp the Grade of 90 “XF” meaning extremely fine condition. 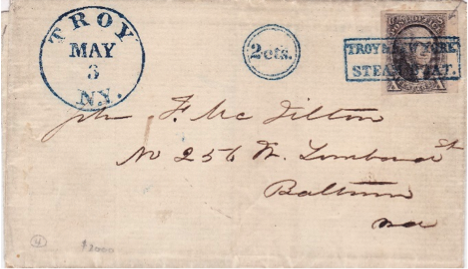 It is the highest graded Jenny Invert which still remains in mint unhinged condition 100 years after it was issued. (New York, NY) Two of this country’s leading philatelic institutions, The Collectors Club and The Philatelic Foundation, have entered into an agreement to share space in The Collectors Club’s classic Stanford White town house located on East 35th Street in New York City. The Collectors Club, with a storied history of almost 125 years, will join hands with The Philatelic Foundation on December 1, 2017, when the PF moves its office into two floors of the Club house from which it will conduct its expertizing services. The Collectors Club, with nearly 800 members, a renowned research library, a monthly speakers’ program, and an award winning journal, The Collectors Club Philatelist, has had its home in the town house since 1937 where collectors have enjoyed the opportunity of meeting with each other, conducting research, attending auction sales and society meetings, sharing their collecting interests and developing life-long philatelic friendships. The Philatelic Foundation has been this country’s leading expertizing service since its founding in New York in 1945 at the Club house. 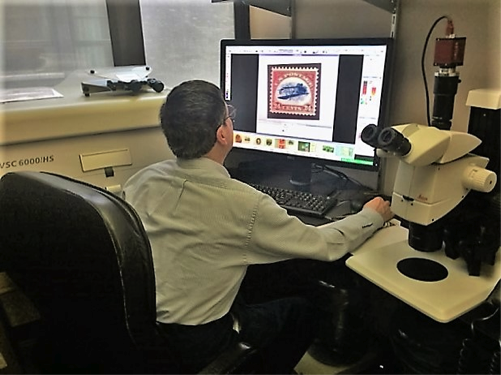 With a staff of in-house experts, a reference collection of over 240 volumes including the largest collection of U.S. fakes and forgeries, the PF is the only expertizing service in this country to use the latest hi-tech electronic equipment including both the VSC6000 and the Bruker XRF Spectrometer. 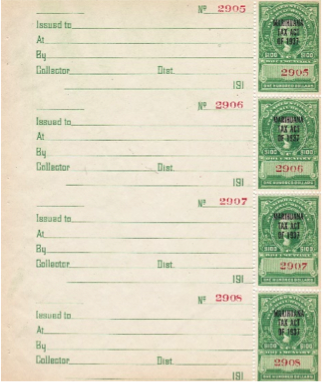 Since its founding, the PF has issued over 500,000 certificates of authenticity which are available on-line for review, together with a broad array of research materials on its website: www.philatelicfoundation.org. From the late 1930’s until his death in 1958, Stanley B. Ashbrook was recognized as a leading expert on classic United States stamps and postal history. Throughout that time period, he maintained an extensive correspondence with virtually all of the leading dealers and collectors of which he filed in scrap books. He prepared notes on index cards of both stamps and covers that had come to his attention through his correspondence with dealers and collectors, from auction catalogs, and from his own research and studies. Beginning in the 1950’s he made color slides of stamps and covers which he had examined in the course of his work. Following Ashbrook’s death, the PF acquired all of this massive collection. Carefully maintained over the years, this significant body of research was only available for study at the PF’s offices. 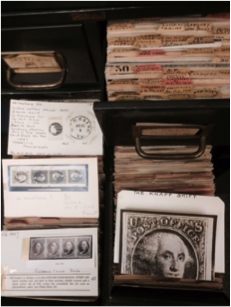 Pictured below are the scrap books of correspondence and card files, and a close up of a drawer of index cards as they have been preserved by the PF for nearly 60 years. 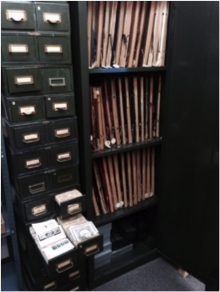 In 2016, thanks to a generous grant from the David T. Beals III, Charitable Trust, the PF began the process of the digitization of all of these materials. Now completed, this massive collection has been posted on the PF’s website in support of its educational mission, and through the benefit of technology, made instantly available on-line to all students of philately. The volume of information contained in this collection is truly staggering: 43 scrap books containing over 10,000 images of letters, articles and other documents, 1,200 color slides, and 34 file drawers containing 35,000 3 x 5 index cards organized and arranged by subject. Enjoy the search! 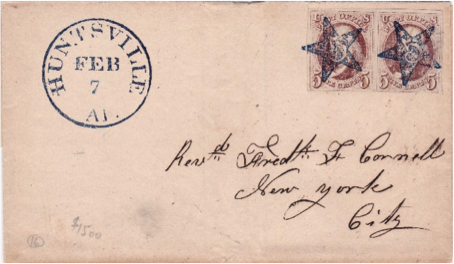 The Philatelic Foundation was the recent recipient of a generous donation of the United States Philatelic Classics Society’s “S.C.R.A.P.” collection that includes a number of faked and fraudulent covers produced by the late John A. Fox and, sold by him to many prominent collectors from the late 1940’s to the early 1960’s. They have been added to the PF’s extensive reference collection. The entire S.C.R.A.P. cover collection can be viewed on the PF’s website. Two of Fox’s faked 1847 Issue covers, which fooled collectors for many years, are pictured below. 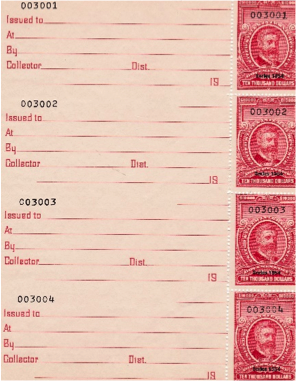 The Philatelic Foundation was the recent recipient of a generous donation from the Smithsonian National Postal Museum that included a number of rare United States revenue stamps, including those shown below. They have been added to the PF’s extensive reference collection. The PF is the only expertizing body in the United States with the latest hi-tech equipment to assist in the authentication process. The VSC6000 uses high definition magnification, differing wave lengths of light, and the application of direct light in a variety of modes. This sophisticated forensic device assists the PF’s staff in confirming the existence of a variety of faults and repairs in both stamps and covers. In addition, the Bruker XRF (X-Ray) Spectrometer is used to determine the elements of the ink used in the printing of stamps. It has proved invaluable in correctly identifying certain stamp issues of similar color but with inks of very different elemental compositions. Other scientific equipment includes stereo and comparison microscopes, paper micrometers, as well as ultraviolet and infrared light sources. With over 70 years of experience, and having issued over one-half million certificates, the PF has long been recognized as the leading expertizing authority in the United States. Its staff of in-house experts are lifelong collectors with years of professional experience, each of whom brings outstanding expertise to every submission. 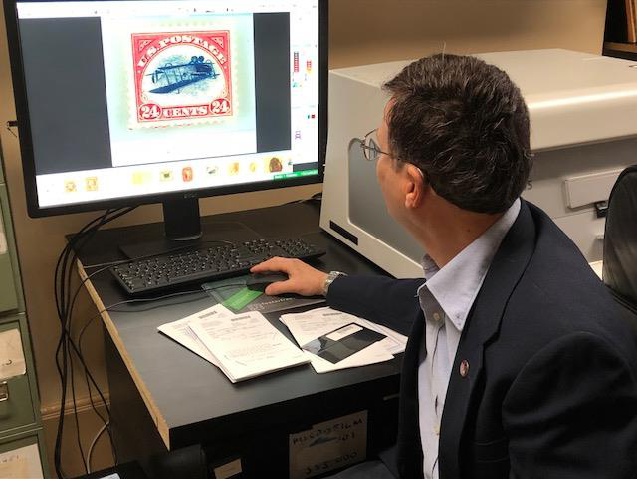 Our staff has ready access to the PF’s world-wide reference collection of over 240 volumes of stamps and covers, to a comprehensive research library, and to all of the PF’s on-line resources. The result is a panel of professional experts unequalled in knowledge and experience. A PF Certificate is an opinion of authenticity that allows you to collect, buy, and sell stamps and covers with confidence whether you’re investing $100 or $1,000,000. For peace of mind, your stamps and covers deserve the very best, a PF Certificate. 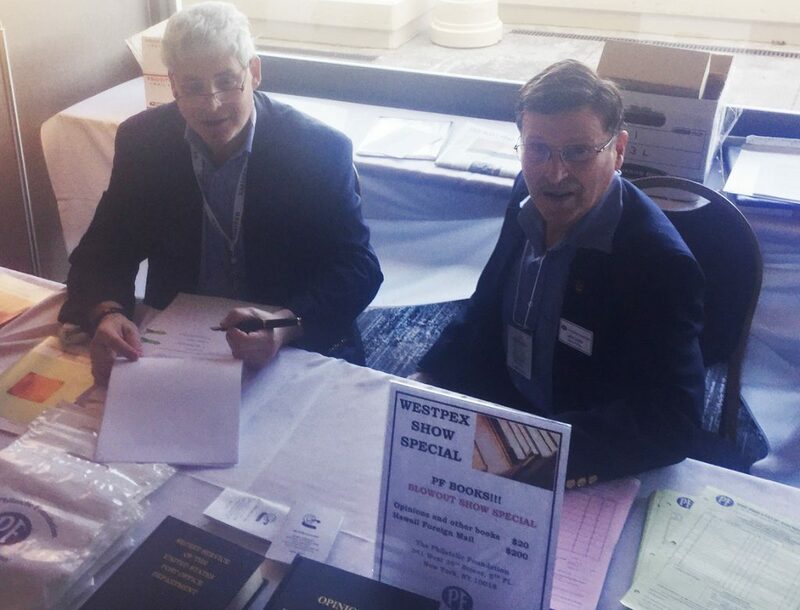 A recent survey by the American Philatelic Society found that 82.8% of its members selected the PF for its “Reputation,” the highest percentage of any expertizing service in the United States.